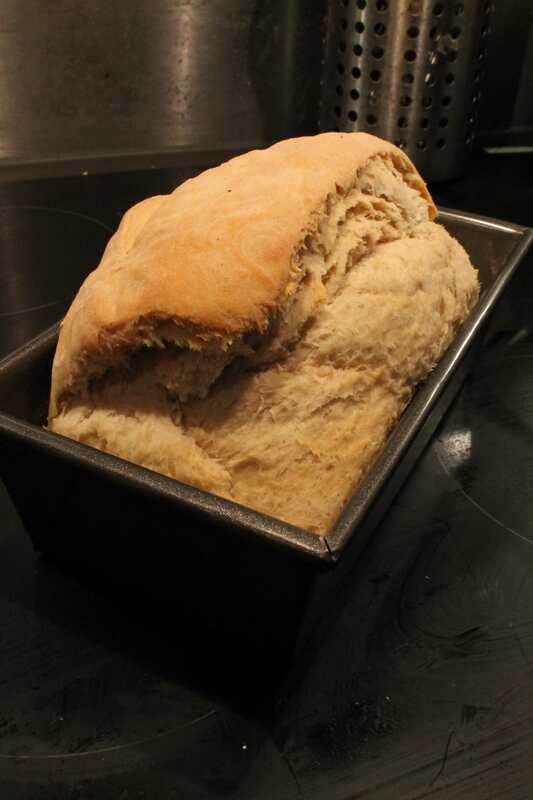 So I’ve been making my own bread for a little while now; I don’t know anyone that doesn’t like the smell of freshly baked loaf and I am no exception. 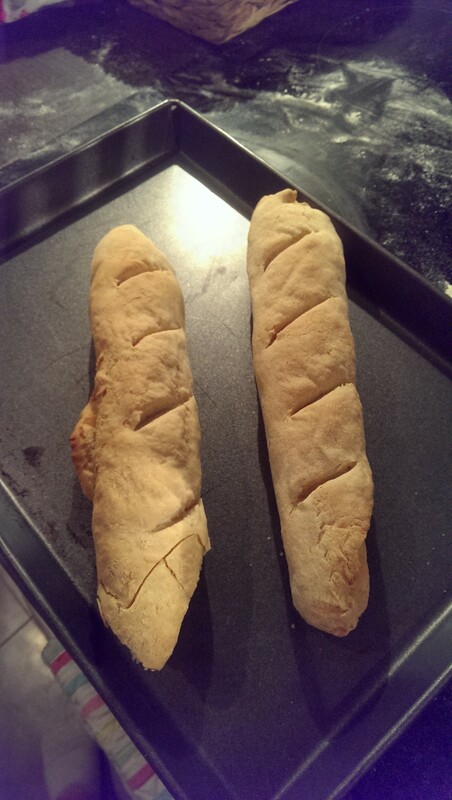 Over the last couple of years, I’ve made rolls, loafs and even attempted some baguettes although they didn’t turn out so well. It’s quite hard to get the right amount of steam in an electric fan oven. 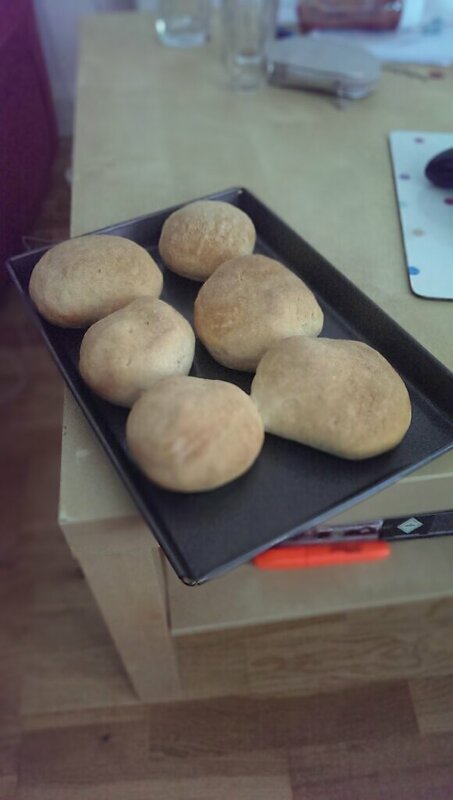 I decided to go back to basics and make some simple white loafs and had much more success. No special ingredients or any complicated methods; just strong flour, water, yeast, two hands and not being hungry. This should be left for as long as you can to bring out the most flavour. On this occasion I left it over night for roughly 15 hours and wished I had used a bigger bowl! 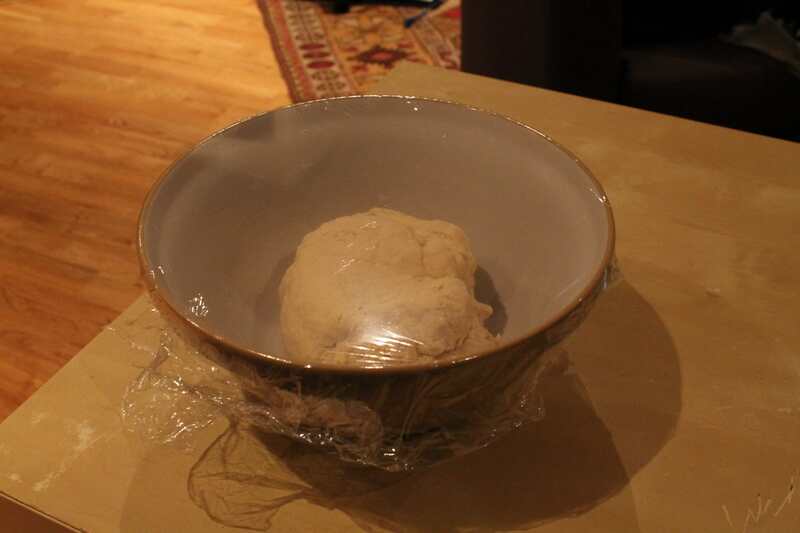 After you’ve pried the proved dough from the bowl, it’s time to knock it back; in other word get all the air out of it. 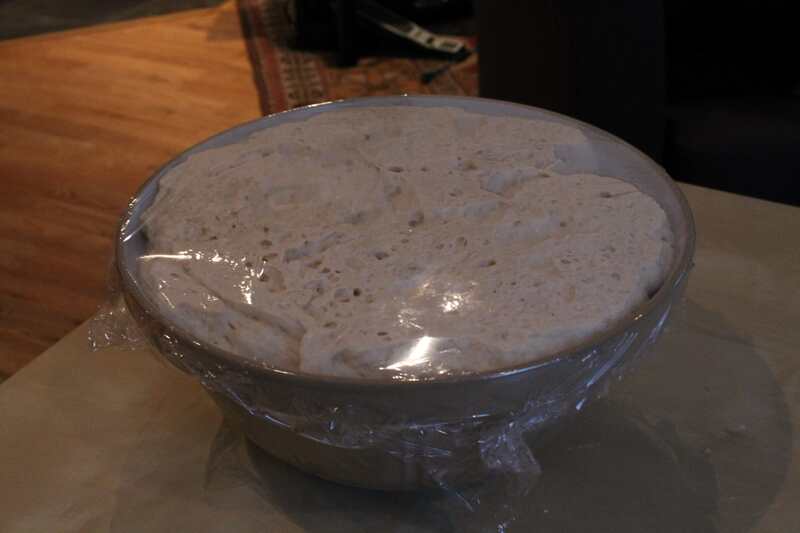 This should only take a few minutes and the dough will go back to roughly the same size as it was before you let it rise. 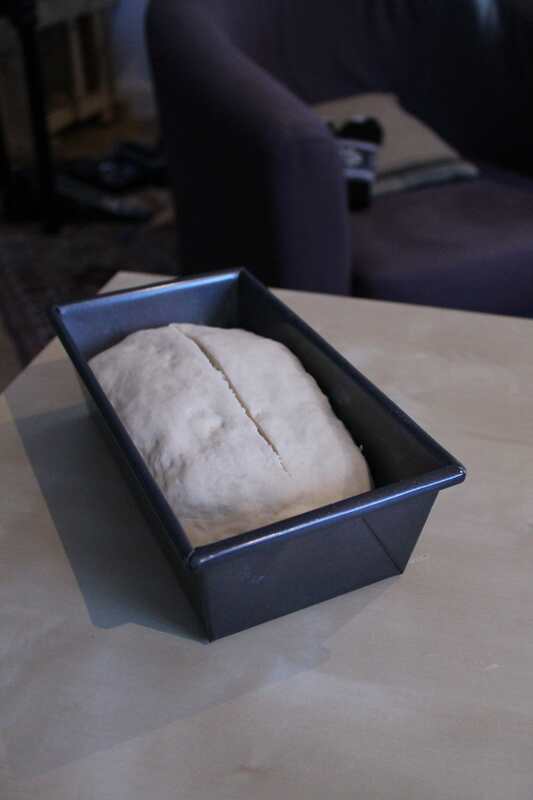 You can then pop it in a loaf tin lined with a bit of flour, cut a line in the top of the dough so it can split when baked. Leave this to cool on a wire rack and then enjoy. Personally I put together a cheese toasty. I got this recipe from BBC Good Food.